Mobile Robot Explorers is a pair of robots that slowly learn to navigate their environment in unique and interesting ways. 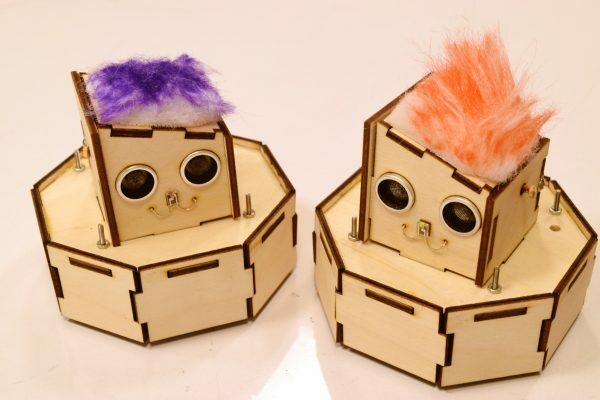 For this project, we created two robots that would slowly learn to interact with their environment. We implemented a machine learning algorithm using Markov Chains which allows the robots to make decisions based on its current state as well as its previous actions.n this way, the robots are introspective and can draw from their “short term memory” in their decision making process. Initially the robots only have a self preservation instinct (to not go outside the black rectangle), but over time, they learn to navigate their environment. The viewer can also interact with the robots by shining a flashlight at them. Over time, each robot develops a different set behaviors based on its individual experiences in a particular simulation. 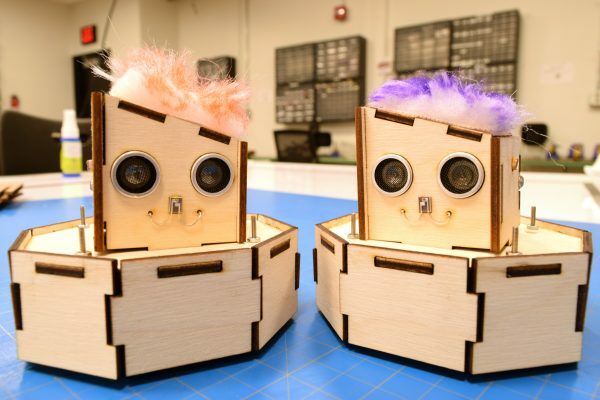 However, both robots will converge to a set of behaviors in which they respect their environments. 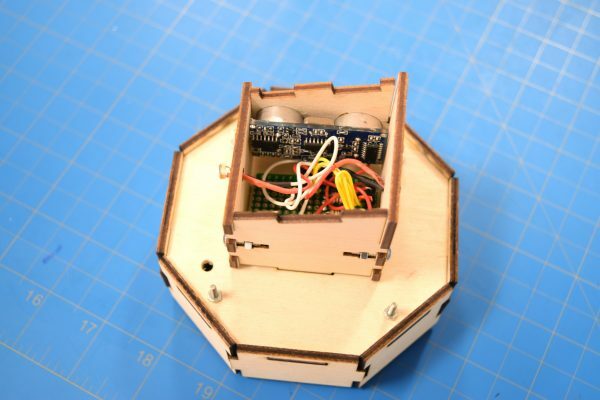 The github containing the cad files and circuit diagrams needed to build the robots can be found here. 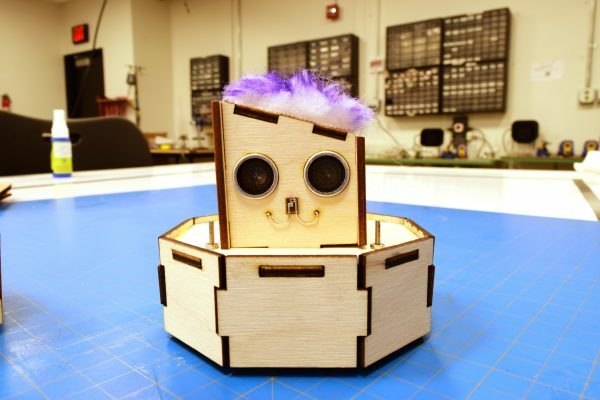 My role for this project was designing and building the enclosures for both robots. I also designed and built the sensor system connected to each 3pi robot. 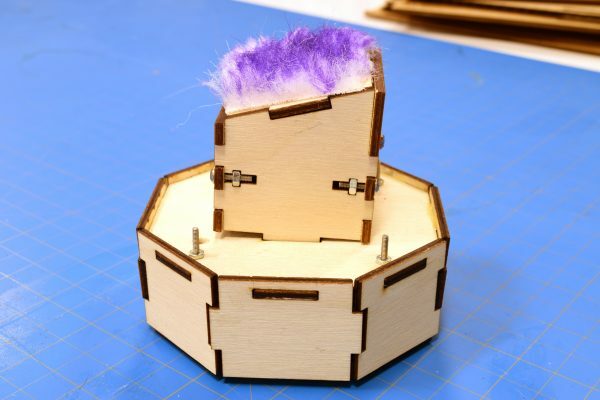 This was a group project for 60-223, Intro to Physical Computing at Carnegie Mellon University. 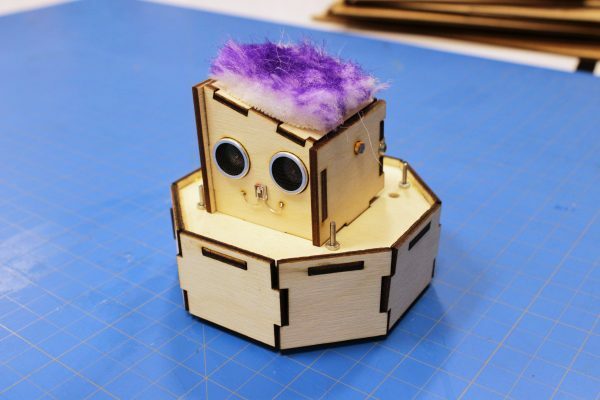 The project prompt was to create an autonomous robot using the Pololu 3pi platform. My collaborators were Ananya Rajgarhia and Yousuf Soliman.